This airy, outdoor village-styled center is a must-see, must-shop for visitors of the famed Strip. 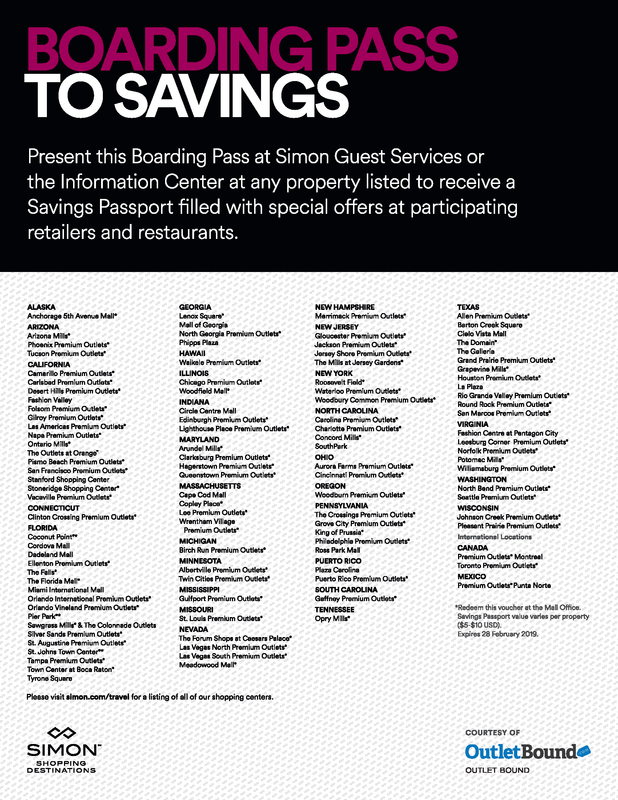 Las Vegas North Premium Outlets® features 175 designer and name-brand outlet stores offering extraordinary savings of up to 65% every day on exceptional brands including: Coach, Kate Spade New York, Michael Kors, Neiman Marcus Last Call Studio, Nike, Saks Fifth Avenue Off 5th, Tory Burch and many more. Visit our brand new full service sit down restaurant, The Cheesecake Factory. If you are in a hurry, we also have Chipotle. Las Vegas North Premium Outlets is located at the north end of the Strip at the gateway of Downtown and Fremont Street. The center is conveniently located minutes from the Strip off I-15 at Exit 41B - Charleston Boulevard near downtown Fremont Street and is serviced by taxis and the public bus. If you can't get enough outlet shopping, visit our sister center just 8 miles away and on the south end of the strip, Las Vegas South Premium Outlets.